Faith Charles is a Corporate Securities and Transactions Partner and Chair of Life Sciences for the law firm Thompson Hine LLP. She is also the founder and chair of the New York Metro chapter of Women in Bio. In the life science industry, commercializing needed medicines requires some of the best and most creative scientific minds. But having the right legal talent on your side to help you through venture funding, partnering, and mergers can be equally important. 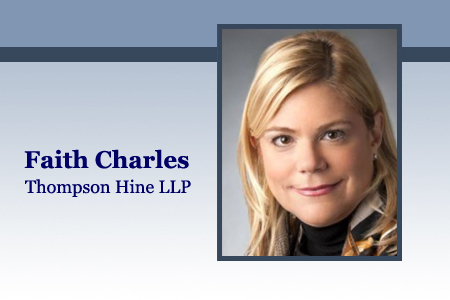 Faith Charles is a Corporate Securities and Transactions Partner and Chair of Life Sciences for the law firm Thompson Hine LLP. She is also the founder and chair of the New York Metro chapter of Women in Bio. Currently her specialties include corporate counseling and strategic advice in the biotechnology, medical devices, diagnostics, and health care information space. She performs work involving tech transfers, angel and venture capital financings, private placements, initial public offerings (IPOs), mergers and acquisitions, spin-offs, securities, regulatory issues, and more. 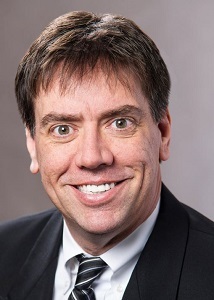 To gain some insight into the legal challenges that exist for small life science companies, I asked attorney Charles to be the next participant in my Women in Bio profile series. Ed Miseta: Tell us about your typical day. Faith Charles: I might have a CEO come to me from a company that is performing a Phase 1 clinical trial. That company will generally be at a crossroads and unsure of what their next move should be. Should they go public and take advantage of the current biotech boom? Or should they engage in another form of financing, such as venture philanthropy, a reverse merger, or an exchange transaction? I guide companies through every step of the financing process – from the practical nuts-and-bolts of finding an underwriter to more broad advice on planning the right strategic path to suit a particular company’s needs. After a discussion, a CEO may decide that this is the right time for the company to find a potential buyer who might be better suited to advance the science, or that their best option is to keep the company going and try to form a collaboration agreement with a Big Pharma company. Whatever path they choose, my job is to facilitate the transaction and protect the company’s rights throughout the process. For example, if a decision is made to form a collaboration agreement with a Big Pharma company, what is the best way of getting the most advantageous agreement while also ensuring the bigger company does not take advantage of you? Companies in that situation will have a lot of important questions. My job is to provide advice based on my experience and to use my understanding of their business to help them tailor the right solutions for their particular company at any given stage in its development. Miseta: You have 25-years of legal experience. Was any of that developed working for a pharma company? Charles: When I graduated from law school I became what you might call a generalist. I did everything that any corporate attorney would do except for litigation, IP, and regulatory. Back then the industry was not as segmented as it is today, so I feel that experience has allowed me to see the whole picture rather than just small pieces of it. I have had the opportunity to work with people who have started companies where we licensed a technology out of a university or other institution and led them through the initial round of financing, from either angel investors or IPOs. I believe working with those entrepreneurs is the best experience you can get while working in this industry. Since they frequently have limited in-house legal capabilities, they are relying on me to act as their general counsel. Because of that, it is especially important for me to have a deep understanding of my clients’ business to provide the maximum value to their firms. Miseta: I believe you have first-hand experience starting a company. Does that help you when advising CEOs? Charles: Yes, I have started a few companies and am on the board of some early-stage companies as well, although not in the life sciences space. I do believe this experience allows me to think not only as a lawyer but also as a business person. To be able to understand a company you really need to think that way. In today’s environment, simply understanding the legal issues is not enough. Miseta: What is the biggest trend you see occurring in the life sciences? Charles: The main trend right now is obviously a huge uptick in activity in the biotech industry. Right now I see a lot of life science companies rolling out IPOs and follow-on offerings. We are in the middle of a biotech boom and everyone wants to be part of it. Companies simply want to be involved with many of the new and innovative therapies coming to market. For that same reason, and because of the robust pipelines, we are seeing a lot of mergers, acquisitions, and partnerships. I think some of the very early-stage companies are still having a tough time getting funded, but if there is an interesting technology that is addressing an unmet market need, those companies are getting financed. I expect this high volume of financings to continue, and that is good news for the industry. I also see an increase in the number of collaborations taking place. Many are between biotech companies and Big Pharma, but we are now seeing significantly more collaborations between two large pharma companies. Another significant development that I’ve noticed is that many companies are no longer licensing their technology worldwide. I see them breaking it up by territory and doing separate licenses for different countries and regions. Every company has different objectives and they are seeking ways to extract the maximum value from what they have to offer. Because of that, agreements and arrangements are becoming increasingly individualized. For instance, companies in the biotech and pharmaceutical industry tend to develop and implement innovative deal structures to realize the maximum value from their assets. One of those innovative deal structures is geographical licensing. They will often look at a licensee’s technical competence, distribution channel, network, and marketing strength. There is no one model. I find that having a deep understanding of the clients’ business is not an option anymore – it’s essential. Interestingly, I have also worked on a lot of projects recently with companies trying to get themselves out of a partnering agreement. When working on a partnering deal I generally represent the biotech company. When I hear them discussing how great everything is going, I always ask them to allow me to show their agreement to a litigator. This is an important lesson to learn, even for an experienced CEO. That agreement is a legal document and when writing them it can be difficult to foresee pitfalls that can occur down the road. I have to remind them that marriage is easy; it’s the divorce that is hard. Companies don’t like to think about agreement terminations ahead of time, so it is my job to remind them of the possibility and make sure they are protected if it comes to that. Miseta: If you are a small company entering into a partnering agreement, what are some of the things you should consider? Charles: I was recently the moderator of a panel where we discussed this exact topic. Let’s say you are a small company with a molecule addressing a certain disease and Merck and Pfizer are both interested in collaborating. You have to decide which of the two will be the best fit for your company. I recommend they look at the economics of the deal, but also the field of study and the territory covered by both companies. One thing many companies neglect looking at is culture. I can’t over-emphasize how important it is to make sure any external partner will be a fit with your internal culture. A bad cultural alignment can sink many deals. I also feel it is important for small companies to get their scientists out to shows and conferences to network and meet scientists from the large pharma companies. The way many pharma companies find partners is via relationships between their scientists. It can be difficult for a small company to get the attention of a Big Pharma company, and oftentimes it will come down to a couple of key relationships. My best advice would be to focus on your core assets, decide what you need to do to get to the next level, and make sure you use your board, auditors, lawyers, and any other assets at your disposal to help you get there. Miseta: Tell us how you got involved with Women in Bio and what you do for the group. Charles: I have been involved with women’s groups for about 15 years, starting with my efforts in support of Springboard Enterprises, a not-for-profit group that assists women-led companies seeking equity capital. I have seen first-hand how groups like this are able to help women trying to make their way in the business world. A couple years ago I was at the Bio International show and saw the Women in Bio booth. I walked over to see what it was all about, and decided I wanted to get involved. When I found out they did not have a metro New York chapter, I told them I was interested in helping them get it started. Long story short, I interviewed for the position and shortly thereafter became chair of that newly formed chapter. The group promotes careers, leadership, and entrepreneurship for women in the life sciences. I enjoy working with all of these women and helping them in any way I can. That includes offering advice, providing them access to my connections, and mentoring. There are women in WIB who are involved with startups, women executives from pharma companies, lawyers, consultants, editors, scientists, and more. But we all have the same goal, which is helping women get into positions where they can make a difference in the lives of patients. I do see a lot more women in pharma management positions, which leads me to believe we are definitely moving in the right direction.